Integrate (a marketing technology company) recently published an ebook detailing the accomplishments and the professional journey of the top marketing operations and analytics leaders from around the world. In this show, we will discuss the most inspiring and actionable insights from these leaders. You will also learn the qualities and characteristics of the best kept secret of marketing. Marketing operations (marketing ops) role has become a critical piece of the marketing puzzle. As marketing organizations become mature and more data oriented, marketing ops leadership will continue to have a prominent role in the marketing decision making process. Industry is finally recognizing the value of the marketing ops team and the Integrate and Heinz Marketing Ops award is a proof. Integrate also published an ebook detailing the best practices of the marketing ops game-changer award winners. Here are some of the key takeaways from the ebook. 1. Marketing ops role has been the best kept secret of marketing? Marketing ops role has evolved from many different marketing roles such as marketing analytics, digital marketing, marketing automation, email marketing, campaign operations, data management, martech and several others. It has come a long way in the last five years and the traditional data or digital analyst no longer have to work in silos. Some experts call marketing ops as the best kept secret of marketing. Marketing operations is not limited just to the tools technologies and analytics, it also encompasses campaign management, process management, automation, analytics, data management and several other areas. Marketing technology used to reside in IT, but with latest advancement in marketing tech there has been a shift of both IT budget and personal to marketing. Marketers are also evolving and becoming data and technology focused in their approach. Marketing ops has become a foundation role in modern marketing. Organizations are moving away from traditional marketing to data driven marketing at the speed of light and marketing ops function is at the forefront of this transition. In other words, it’s a glue that sticks altogether. This is the reason it is a best kept secret of marketing. With great powers comes greater responsibility and that’s what it should feel like when you become a member of marketing ops organization. Building trust across the organization is the responsibility of all marketers. However, marketing Ops person owns a bigger responsibility of driving change and building trust. The number one place to start building trust and rapport is sales operations team. Sales and marketing ops should be tied to the hip as all the demand creation activities especially for B2B organizations touches both sales and marketing. I like to regularly meet sales ops leadership and conduct weekly or biweekly meeting for the teams to sync and have discussions on new process, plan or issues. Sales ops should be marketing’s number one ally! Finance and/or revenue operations is another place for marketing ops to build relationship with. Building relationship with finance gives you the ability to develop cross-functional analytics reports, share useful data, resolve reporting issues quicker and it can help develop rapport in budget planning discussions. Few other teams a marketing ops personal you should connect with are, IT/BI, accounting, human resource and brand. It is easy for a marketing ops person to get lost in the data, technology, macro economic changes, process and campaigns. An easier way to bring back the focus is to put customer at the center of everything. Nothing really matters if your customers (or prospects) are not taking the next action to move down the demand funnel. All the tools, software, systems and processes must be aligned to the customer requirements. You should build your marketing stack to support the needs of your customers first then the needs of your organization. The first question you should ask when adding a new technology or building a new process is whether this will help or hinder your customers. For example, a lead generated from your website can be directly added to your CRM by integrating CRM to your web forms. In theory, this may sound like a good practice because you would prefer your sales rep to call the leads immediately. However, the person (new lead) may not be ready to talk to anyone at this point. He or she may only be looking for additional information. Instead of adding the person to CRM it would make logical sense to add them to your email nurture campaigns and deliver relevant content if they opted in. Another example could be your campaign managers want to add new fields to the web form so they can get additional information about the customer for better targeting. This could seem like a good move, but your mobile customers may not like this as they will have to deal with long forms on their smaller devices. Always think about your customers first then decide on how you would solve a specific marketing ops and analytics problem. When we started our marketing and analytics career back in early 2000s it was nothing compared to what we have now. There was no such thing called marketing operations and the marketing technology was bare minimal. Microsoft Excel and Google Urchin were the only so-called marketing tools we really worked with. Business Intelligence and sales operations covered most of the basic marketing operational needs. Things have changed now and marketing operations have their own BI and technology management functions. Marketing technology has increased from handful of tools to thousands and growing. With these macro economic changes, the world of marketing ops teams is evolving pretty dramatically. It’s extremely important to stay agile because you can easily get carried away buy a new shiny tool in the market and you could lose track and spend a lot of time and money. You may then forget your core objectives, which is to build the marketing stack with the tools and assets you already have in place to generate revenue. In a marketing analytics or operations role you are always dealing with data coming from many different directions and your responsibility is to make sure the data is correct and is originating from the right sources. On top of that, you have to filter, segment, and integrate with the different tools and technologies. You can easily get carried away and spend significant amount of time trying to figure out good data vs bad data and lose insight on what’s actionable. Every organization has data problems. Some may have significant data problems and others may have insignificant data problems. There is not a single organization in this world that can say with 100 percent confidence that they do not have any data problems. The solution is to focus on the actionable insights you can drive from the data you have in hand. As long as the data is directionally good and you have enough confidence to move forward. For a marketing organization it’s very important to move forward quickly or you will end up with analysis paralysis. 6. Prepare yourself of the convergence of marketing, sales and revenue ops. In general, operation’s teams across sales, marketing and finance should atleast plan for a future conversion to revenue operations reporting into the Chief Operations Officer (COO). This is already starting to happen in some organizations while others are thinking about the change. There are many variability in terms of where this organization reports to. In some cases it may report to finance whereas in other cases it can directly report to the CEO as a chief revenue officer (CRO). The best course of action is if you have a revenue operations group in your company start working with them or if you have a sales operations group then, work with them. It’s important to work with your fellow ops people in sales and revenue ops and strategize on building a center of excellence. 7. 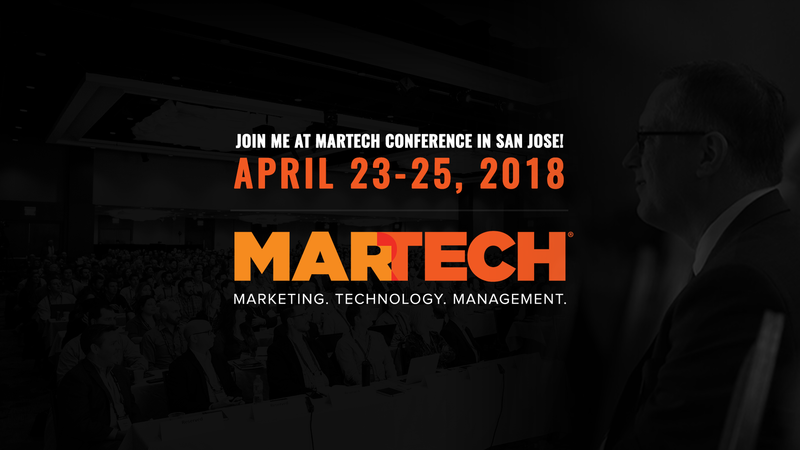 The best tool in your MarTech stack are the people. People, process and technology are the three pillars of a successful marketing ops and analytics organization. However, process cannot be built and technology cannot be managed without people. Earlier, we mentioned there has been a phenomenal growth in marketing tech. There is always going to be a new shiny bright tool in the market and there is no shortage of best practices for marketing and campaigns. The bottom line is the talent you add to your marketing ops organization is what really matters. Those are your number one assets because without them none of this is really going to function. You are not going to be able to run your marketing automation tool even if you purchase the greatest of all marketing automation solution. You are not going to be able to run your CRM. You are not going to be able to run any of the technology because it’s the people behind them that make it work. They are spending a significant amount of time trying to make sense out of the technology and data to drive insights, programs, campaigns, email triggers. They are building integration between the tools so data and messages can reach the right prospects and customers. They are talking to your agencies and holding them accountable. They are cleaning up the pile of data garbage that your organization may have collected for years. They are rolling up their sleeves and delivering results irrespective of the challenges. If you are not able to take anything else from the marketing ops game-changer e-book, you should take one lesson that is to focus on people and hire quality people. The ebook gives you a list of 33 marketing ops game-changers and these are the type people you need to hire.